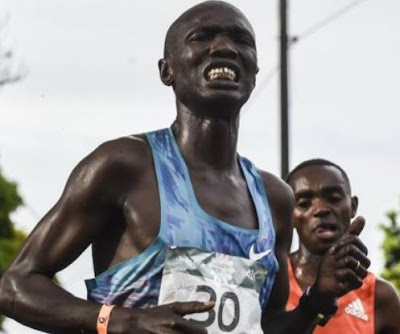 Kenyan runner Joseph Kiprono Kiptum was hit by a car as he was leading a half marathon in Colombia. Kiprono, 30, was nearing the finish line in Medellin when he was struck by a vehicle which had apparently ignored a street closure. The athlete was treated at the roadside and taken to hospital with cuts and bruises and has now been discharged in "good health". "Joseph Kiprono was brought in by the emergency staff of the Medellin Marathon. The patient is stable, has multiple contusions and abrasions in soft tissues, has no fractures of any kind, and orthopaedic doctors reviewed him, he is in good health and is out of danger. "